Providing patient centred care for the Tweed Coast region for nearly 20 years. 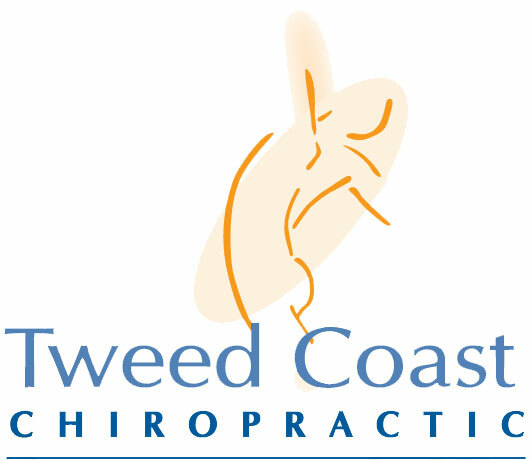 Tweed Coast Chiropractic now take online bookings for appointments. Click the button to book today. Our chiropractors are knowledgeable in a wide range of techniques. All our health care staff are focused on providing family oriented individualised personal health care to our valued patients. Owner and chiropractor, Ian Curnow, has assembled a team to provide a complete range of treatment and health care services in Kingscliff. Our clinic in Wommin Bay Road has a wheelchair access ramp. For more information or to book an appointment with a chiropractor or another member of our health team contact Tweed Coast Chiropractic today. Our chiropractors Ian Curnow and Ashlee Batters provide individual specific chiropractic health care. The initial consultation involves both consultation and treatment (if clinically appropriate). Our Massage therapists Zare Edwards and Vicky Lawrie offer remedial and relaxation massage therapy to assist the body in the healing/recovery process and to reduce stress and enhance well being. Our alternative therapists Audiologists Kathryn Richards and Johnathon Dao offer Audiology, Traditional Chinese Medicine, Japanese Acupuncture, Shiatsu and Chi Nei Tsang and Kinesiology. Check out the latest news and articles on our blog. We regularly share posts on health and well being, as well as updates on the progress of our sponsored athletes. Tweed Coast Chiropractic try and be as active as possible on social media. Try and follow us on Facebook, Twitter and Instagram to get useful tips and tricks to maintain a healthy lifestyle, recipes, exercises and other interesting posts. What does posture mean to you? Sit up Straight, Don’t Slouch!!!!! Posture, why is it so important? Have oedema, poor circulation, aching muscles, or need fast athletic recovery? Could Pneumatic Compression Therapy help? Sore Shoulder, could it be my rotator cuff?